Kings Grant neighborhood is a fabulous community near Columbia, South Carolina located east of I-77 and bordered to the north and east by Ft. Jackson Military Base. With I-77 just a second away, residents can be in Charlotte, NC in little over an hour, or hop on I-26 and be at the beach or in the mountains in just a few hours. 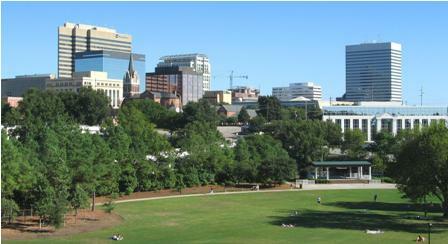 Kings Grant is also just minutes away from Downtown Columbia providing all the luxuries of urban life. The homes in Kings Grant range in price from a little over $1,000,000 to just under $500,000 with the square footage ranging from as much as 6400 square feet to a little more than 3000 square feet. Homes in this neighborhood have grand porches, high ceilings, welcoming kitchens, and enticing pools. The majority of the homes in the neighborhood are brick traditional in style. Kings Grant sits directly adjacent to Fort Jackson providing residents with a rural and secluded setting with easy access to all that Columbia has to offer. Fabulous, luxurious dining is just a few miles from the community, as is access to many cultural venues. Nearby are several golf courses and Country Clubs for the golf enthusiast, as well as great shopping opportunities by way of numerous shopping centers and a nearby mall. The Kings Grant Club House provides residents with access to a playground, tennis courts, and an Olympic size pool. And Kings Grant is just across Interstate 77 from the Veterans Hospital and only minutes away from several other hospitals. Kings Grant has something to offer family members of all ages.